SWITZERLAND, Zurich — In March of 2015, Swiss citizens began to notice a bright new star in Switzerland’s western sky. 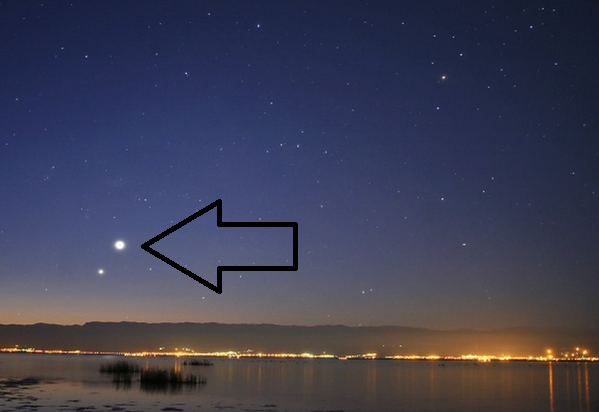 Vividly brighter than Venus which flanked it, the apparently man-made star has never been reported on—until now. Located approximately 100 miles above the Earth in Lower Earth Orbit (LEO), the man-made star was temporarily positioned above CERN whcih is located just outside of Geneva, Switzerland, the de facto capitol of the underworld. Geneva, which was previously home to the League of Nations, is currently home to the International Red Cross, the United Nations, and the Central Intelligence Agency, otherwise known as the CIA. Consequently, the former location of what is now being called the ‘CIA Death Star’ is highly suspicious. Interestingly, the geometry of CERN mimics that of the Death Star from Star Wars exactly. 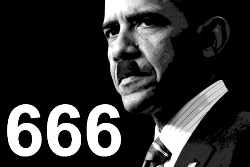 This is no coincidence for the Swiss CIA has been responsible for executing virtually all of the assassinations, terror attacks and wars witnessed in the underworld over the last 715 years. Exactly what the CIA Death Star is or how it got there is not yet known, but it’s arrival just happened to coincide with the cover of the Swiss CIA being blown for the first time in history on March 31, 2015, as depicted in the Truther.org report entitled “10 Reasons Why Switzerland is Home to the CIA”. Although only conjecture, it appears that the sole power of planet Earth (i.e., the Roman Empire in Greenland) decided to elevate the command part of its CIA Headquarters to the CIA Death Star above CERN in order to prevent CIA minions on the ground from discovering that they’re actually not in charge. In other words, the CIA in Switzerland runs the underworld at the behest of the Greco-Roman Empire in Greenland. Consequently, once the operational cover of the CIA was blown for the first time in history, the headquarters of the CIA were subsequently moved to the CIA Death Star, out of harm’s way. Whether or not the International Space Station (ISS) is the operational cover for the CIA Death Star is not yet known, but the term “ISS” and “Suisse” are consonantly speaking the same. Therefore, the term ISS may in fact be code word for the CIA Death Star. Whether or not Greco-Romans are now traveling back and forth from Greenland to Switzerland via the CIA Death Star is also not known, but the timing of the star’s appearance in March of 2015 and its subsequent disappearance around July 15, 2015, is highly suspect to say the least. In all likelihood, the CIA Death Star has either: a) returned to Greenland or another remote location where it remains hidden from the prying eyes of underworld, or b) landed somewhere within the CERN complex where it’s being hidden underground, an unlikely notion considering its massive size. Because the Swiss CIA is spying on me and actively monitoring my computers and cell phone, they knew that I was going to publish a report on the CIA Death Star. In order to preempt this, NASA published a propaganda report on June 11, 2015, stating that the CIA Death Star was a naturally occurring phenomenon. According to NASA, the CIA Death Star was just Jupiter or Venus coming close together, a phenomenon which reportedly won’t happen again until 2023. The fist problem with NASA’s bogus report is that they state that the phenomenon was only relegated to June of 2015. This is completely contradictory to scores of eyewitness reports which state that the CIA Death Star has been in the night sky since March of 2015. I first witnessed the CIA Death Star in May of 2015 and monitored it almost daily until it disappeared on or around July 15, 2015. I was waiting to publish this report until I was able to travel to CERN personally, but I never had the chance. The second problem with NASA’s bogus report is that there is currently no star as bright as the CIA Death Star in the night sky. In other words, when Jupiter and Venus are located in the night sky, their brightness fails in comparison to that of the CIA Death Star as depicted in numerous photos and videos. The third problem with NASA’s bogus report is that there is no star as large as the CIA Death Star in the night sky. In other words, when the largest stars are located in the night sky, their sheer size fails in comparison to that of the CIA Death Star as depicted in numerous photos and videos. The fourth problem with NASA’s bogus report is that there are no photos or videos corroborating Jupiter’s and Venus’ alleged conjunction. In other words, there is no evidence which depicts the gradual conjunction of the two planetary bodies; they are only witnessed at the same relative distance to other as depicted in the photos and videos. In order to further muddy the waters in respect to the CIA Death Star, Russia Today published a report on July 1, 2015, entitled “Thousands Catch Jupiter, Venus Forming Super Bright ‘Star of Bethlehem’”. The name “Star of Bethlehem” was designed to add a Biblical connotation to the CIA Death Star, further selling the notion that it was a naturally occurring phenomenon. 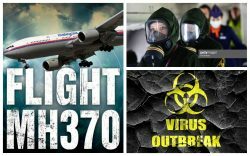 Because CERN is allegedly the largest nuclear and particle physics laboratory in the world, security at the facility is likely the highest on Earth. Consequently, it’s the perfect place to house the Central Intelligence Agency, hide the CIA Death Star, and launch intercontinental space-based flights to and from Greenland. Since CERN is admittedly the birthplace and home of the World Wide Web, it wields almost absolute power over Earth, most of which is now run by supercomputers. Since virtually all banking, commerce, communication and travel are now controlled digitally, whomever has power over said supercomputers essentially rules the world. 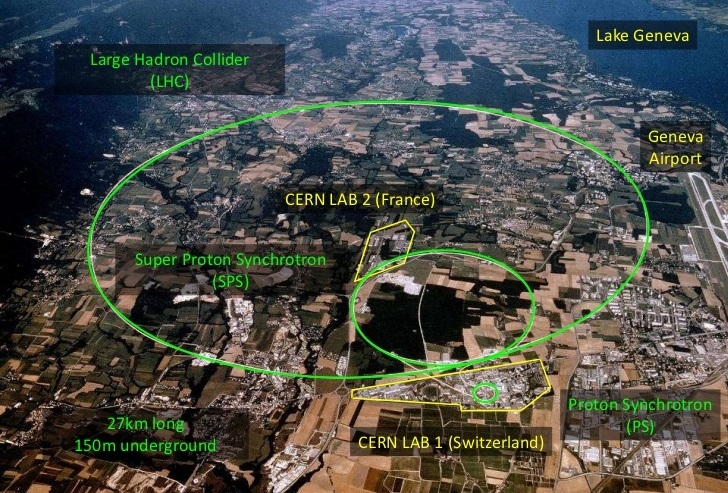 The notion that CERN is cover for CIA Headquarters is corroborated by the fact that as of 2013, CERN had 2,513 staff members and 12,313 fellows, associates and apprentices, most of which are likely CIA employees. Since it’s highly unlikely that nearly 15,000 people commute to CERN on a daily basis, the complex is a likely a massive all-inclusive military-grade bunker built deep underground. Using the modern Roman-English alphabet, the term “CERN” is consonantly speaking the same as “CROWN” (the letter “W” is often benign) for it represents the true seat of power in the underworld. When employing the Roman Score (i.e., the Roman alphabet), the term “CERN” consonantly speaking equates to “CRX” which translates to “Crux”, the Latin word for “Cross”. Coincidentally, the flag of Switzerland bears a Greek Cross that equates to the letter “D”, an acronym for “Die” and “Death”. 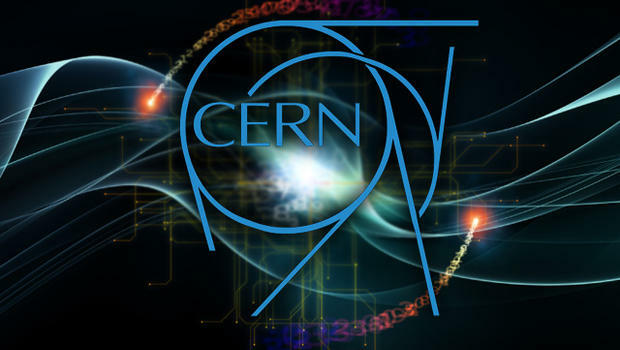 As evidenced, the logo of CERN contains the number “666” which is indicative of “The Beast”, a Biblical euphemism for the Devil or Anti-Christ. When employing the rudimentary methods of algebra used in Jewish Gematria, the absolute value of “666” equates to “18” (i.e., 6+6+6 = 18) whose digital root is “9” (i.e.,1+8 = 9). In the Roman-English alphabet, the 18th letter is “R” while in Roman Score (i.e., the Roman alphabet) the 9th symbol is “Γ” (i.e., the original letter “R”). Since the letter “R” and the symbol “Γ” are both acronyms for “Rome”, it can be deduced that the number “666” equates to the Roman Empire. Because the Roman Empire is now located in Greenland, it runs the underworld via Switzerland which is coincidentally home to the CIA. Since CIA Headquarters are evidently located in CERN, its logo contains the number 666. Shiva or Siva is considered the Supreme God within Shaivism who is the creator and destroyer of all that is. Coincidentally, back on June 18, 2004, a 2-meter tall statue of Shiva was unveiled at CERN in Switzerland. Shiva’s sacred number is “5” which equates to the “Ж” symbol (i.e., “Chi”) in the Roman Score (i.e., the Roman alphabet) which is indicative of the country of Switzerland. 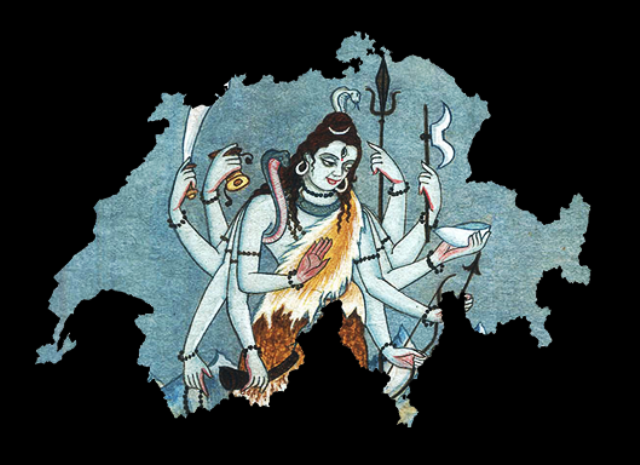 Shiva if often depicted with 10 arms which is symbolic of the geographic shape of Switzerland which appears to have 10 arms or legs. 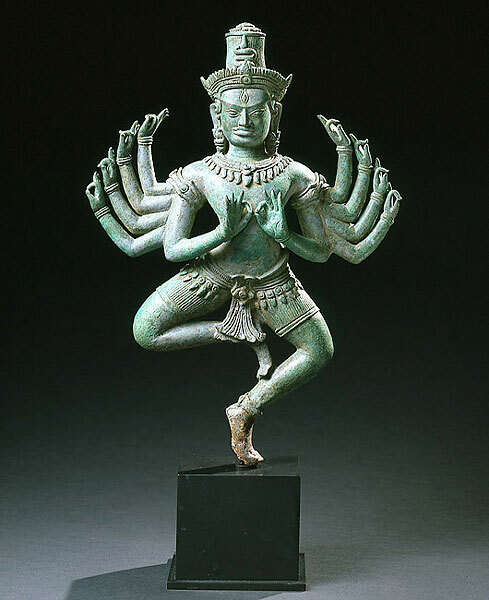 Tripurantaka, a manifestation of Shiva, is depicted with four arms wielding a bow and arrow. He holds an axe and a deer on the upper pair of his arms, and a bow and an arrow lower pair of the arms, respectively. Tripurantaka is symbolic of the four-armed cross of Switzerland which is responsible for executing assassinations, terror attacks and wars in the underworld at the behest of the Roman Empire in Greenland. Shiva also rides on a bull, his vehicle, which is representative of Babylon, the former capitol of the Roman Empire. Coincidentally, Switzerland is responsible for managing and maintaining the Babylon System in the underworld. The English term “sieve” (S+V), which is consonantly speaking the same as “Siva”, is a device that is used to separate wanted elements from unwanted material. Metaphorically speaking, Switzerland is the sieve of the underworld for it removes unwanted people and ideas, especially in respect to the secret home of the CIA and the fact that the Roman Empire is alive and well in Greenland.